I apologize for the lack of content last week, we were at Disneyland and I didn’t get the time to write while I was down there. The coming weeks will feature a trip report and several reviews so stay tuned for that! But for now let’s get to our question of the week! Question of the Week: Aside from the park icons (castles, Spaceship Earth, etc.) 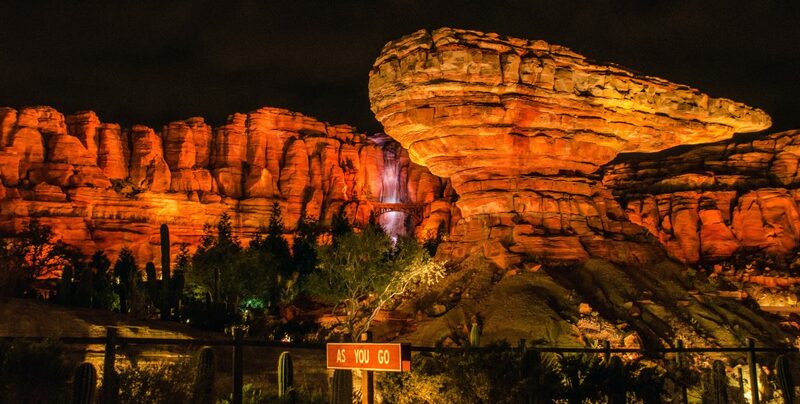 what are some of your favorite things to look at and photograph in Disney Parks? 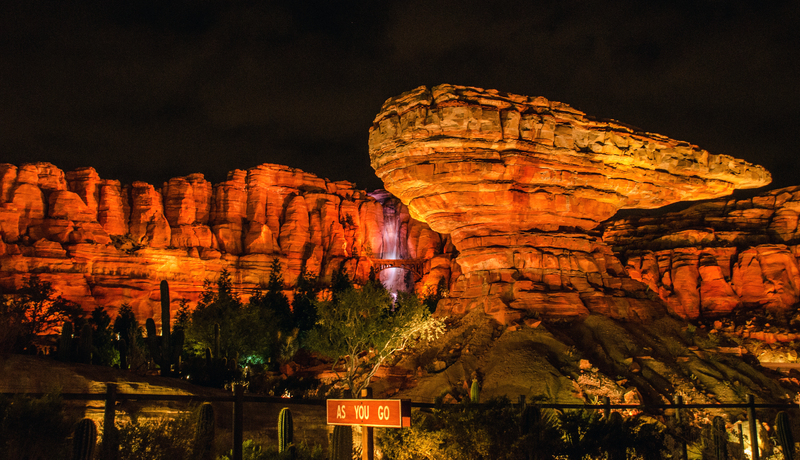 Melissa L – I think my favorite would be the Cadillac Mountain Range in Cars Land! It is also one of my favorite places to wander through, especially at dark when it is all lit up! Leslie – I like to photograph pretty much anything in Epcot. The buildings are so beautiful. 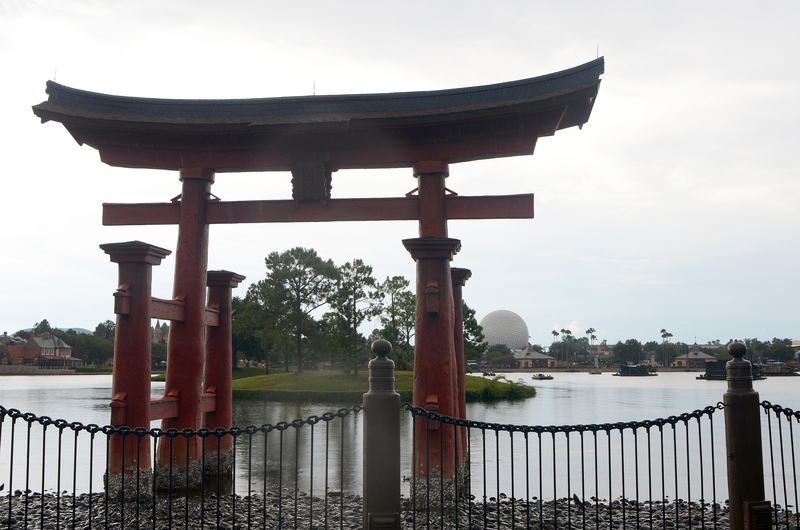 My favorite is probably Spaceship Earth from the Japan archway. It’s so pretty. Andrew – This is a tough one, and I’ve gone back and forth. 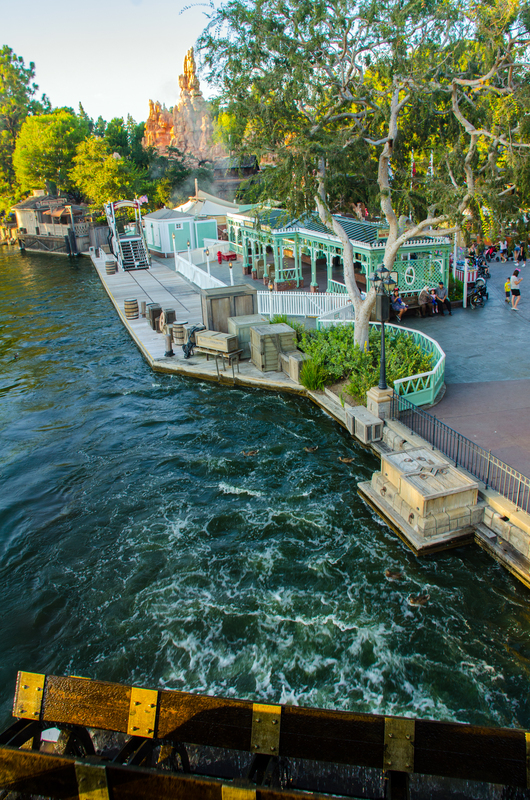 But judging by my pictures, I’m drawn to the river in both the Magic Kingdom and Disneyland. I think the water really adds a kinetic energy and I enjoy photographing, looking at, and walking by it whenever I get a chance. There are so many things around the river that it acts as a gateway to several attractions. I couldn’t imagine a castle park without a river. 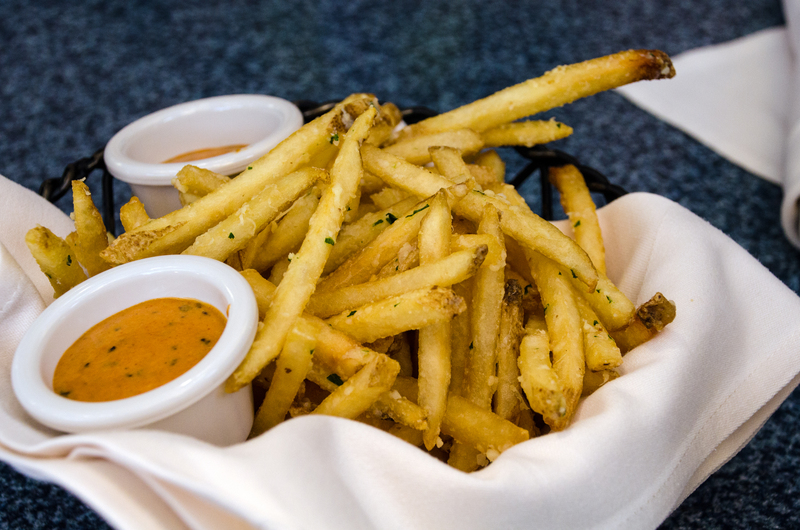 Cassie – I love to photograph FOOD! I really do! There are so many amazing things still to try! I always love snapping a pic of my meal. Melissa H – I love to photograph Adventureland! There are so many beautiful colors and exciting design features. I especially love photographing the outside of the Indiana Jones attraction. My other totally weird thing is taking pictures of the different light fixtures throughout the park. It sounds weird, but I love the little details from Disney. What are you and your camera drawn to at Disney Parks? Let us know in the comments! If you enjoy what you’re reading on Wandering in Disney, please subscribe to the blog via email or WordPress. You can also like our Facebook Page. Both of those are accessible on the right side of this page. Thank you for reading Wandering in Disney, have a great week!